I haven't been gifted with those kind of curls and ringlets that fall effortlessly around my face, smooth and frizz free. My waves and curls are the messy variety - the kind that need taking in hand and setting in their place. I've tried various curl 'definers' over the years and, although a couple of the serums and oils have been good, there hasn't been a spray that's really been any use. Until now. I'm having a love affair with Charles Worthington products for sure. So far all of the products I've tried have been superb, done as they've promised and totally changed my hair for the better. 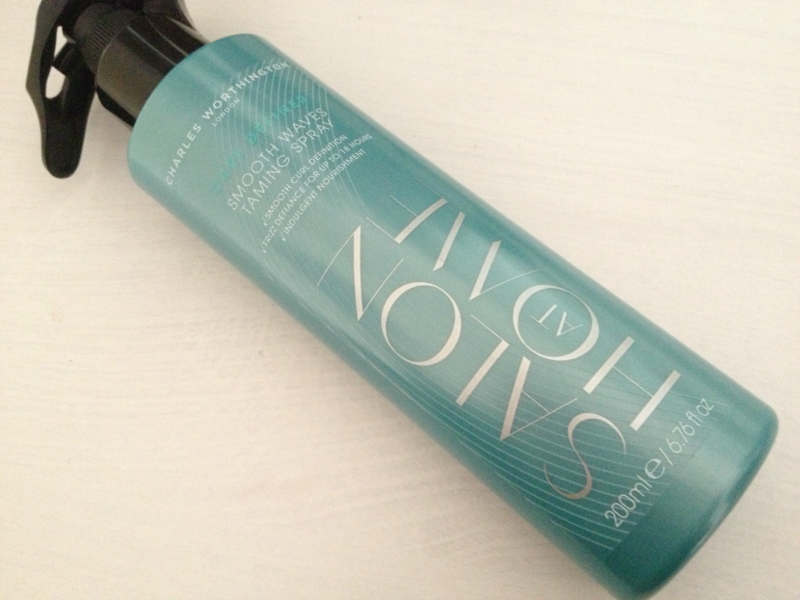 This Charles Worthington Curl Definer Smooth Waves Taming Spray is no exception to this rule and thus far it's been my most reached for hair product alongside the leave-in conditioner I raved about in an earlier post. 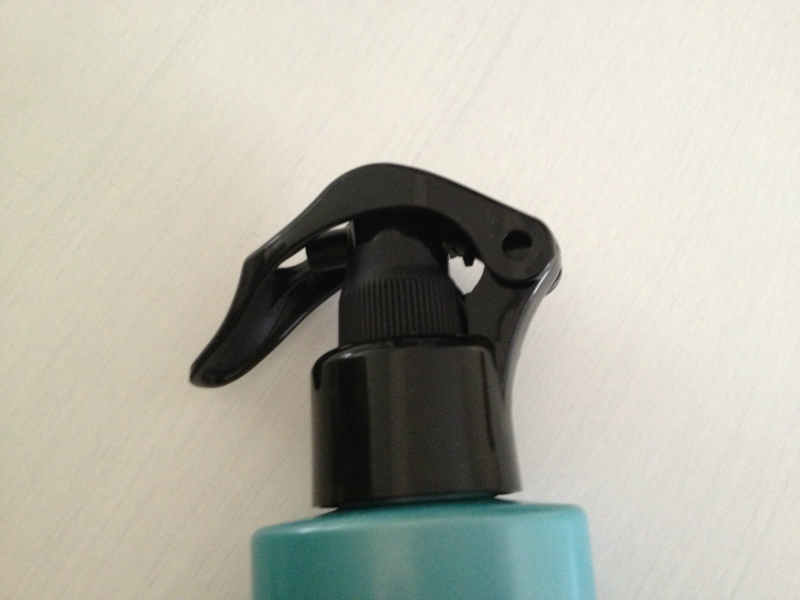 The packaging is a standard spray bottle with a spray nozzle. The nozzle is fabulous: it allows just the right amount of product to come out whilst misting it finely over a large section of hair. There's no wet, sticky patches left behind where there should be even distribution, making this product really quick and easy to use. I spray it all over my hair when it's damp. The curls and waves form as my hair drys and it doesn't leave it sticky or tacky. They're not weighed down with product and they look really glossy. It's lightly scented with something sweet that I can't quite put my finger on but it's not synthetic and it lingers in the hair which is lovely. It's really easy to brush out as the curls that form aren't stiff in any way if you don't fancy keeping the wavy style the day afterwards (yes - the curls really do last that long). Frizz is definitely reduced a lot when I use this - not as much as to be perfectly smoothed but then I quite like the lived in look so that doesn't bother me. All in all this is a great product and I genuinely can't recommend it highly enough. 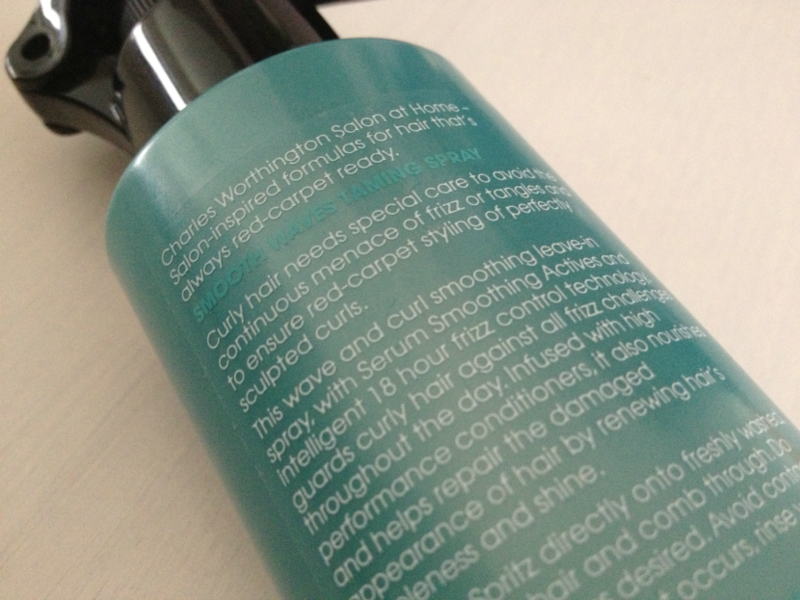 Charles Worthington Curl Definer Smooth Waves Taming Spray RRP £5.99 is available from most high street drugstores. I bought mine from Boots online. For more information please visit the Charles Worthington website. You can follow Charles Worthington on Twitter and Facebook for news, product launches, competitions and more.